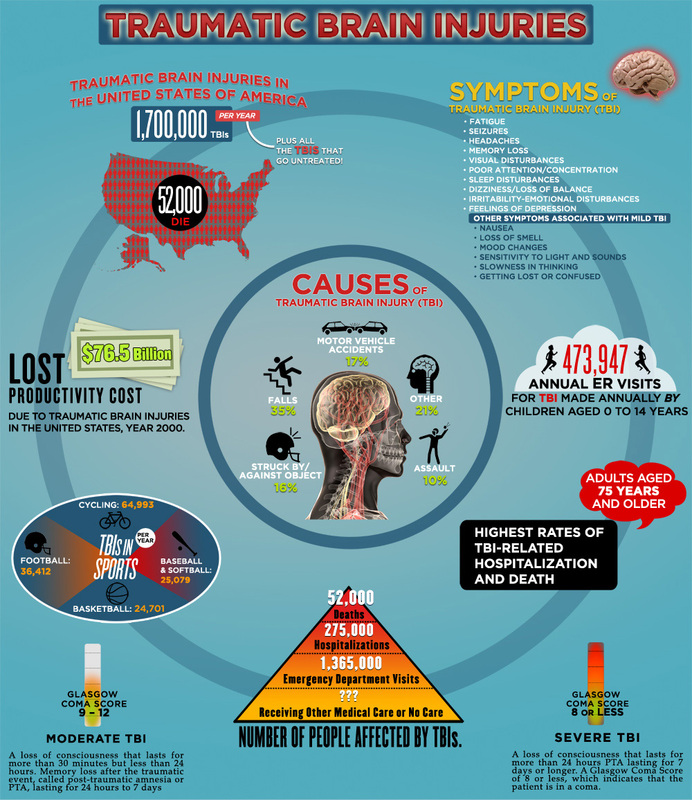 However, new research is showing us what happens in the brain at the genetic level when the brain is mildly injured many times or severely injured one time to cause neurological deterioration over time and the eventual development of dementia. In research released in the last week from scientists at UCLA, it has been discovered that head injuries can cause significant damage to hundreds of genes in the brain, substantially increasing the risk for developing both neurological and psychiatric disorders. 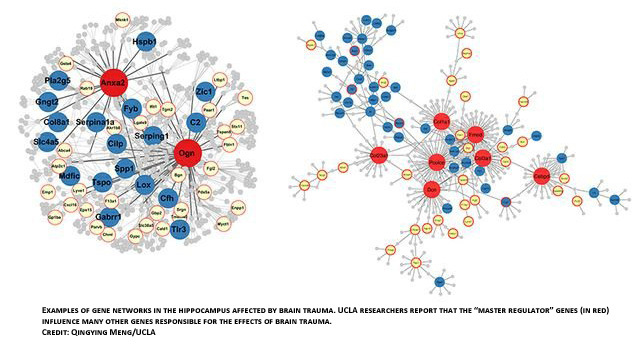 As shown in the diagram from UCLA above, researchers have identified what they believe are the master neurological genes that control all the other genes in the brain. These other genes in the brain are directly associated with Alzheimer’s disease, Parkinson’s disease, post traumatic stress disorder (PTSD), stroke, attention deficit hyperactivity disorder (HDHD), autism, depression, schizophrenia and other neurological disorders. The process of damage is pretty straightforward. Genes in the brain have the potential to become several different types of protein (tau, for example, is a protein associated with the plaques and tangles of Alzheimer’s Disease). When the master neurological genes are damaged, they in turn create the traumatic brain injury that damages the genes (by changing the form of protein they become) they control, leading to extensive neurological changes that, among other things, can lead to dementia. While more research into these master genes in the brain and their effect on all the other neurological genes, the insights of this latest research should make us both more aware of how delicate, in some ways, our brains are, and, in turn, do everything within our control to protect them.